Worker’s compensation is a form of insurance coverage that provides benefits to injured employees, regardless of who is at fault for the injury. In most States, it is mandatory for employers to provide worker’s compensation insurance to employees. Workers who receive these benefits cannot sue their employer for the injuries. It allows an employee to make claims for work-related injuries or diseases without taking legal action. Employees injured in a construction accident need monetary compensation to cover medical bills, loss of wages and other expenses. Employees are usually entitled to worker’s compensation benefits. Injured employees have a right to receive proper medical treatment in order to recover from the effects of the injury. Medical care benefits include medical bills, prescriptions, and mileage to and from the hospital or doctor. Workers under worker’s compensation benefits may be required to obtain medical treatment from the company doctor for a maximum of 30 days. After this period, a worker can submit a written request to see a different doctor. Injured workers may be entitled to temporary disability payments if they take time off from work due to construction accident injuries. Temporary disability provides partial compensation for lost wages. Normally, the pay rate is about two-thirds of the average weekly gross pay. Temporary disability compensation is usually paid a few weeks after the doctor verifies a worker’s inability to work. An injured construction worker may file for permanent disability benefits if he or she fails to recover completely from the effects of the injury. The limitation placed on the injury determines the payment amount and the rate at which it is paid. The workers age, occupation, and earnings at the time of injury are other considerations taken into account. Vocational rehabilitation benefits are given when the injury prevents the worker from returning to the former job. It may also include assistance in getting another job. Partial income is distributed during vocational rehabilitation. Vocational rehabilitation benefits have a maximum monetary limit. Worker’s compensation covers a broad range of work-related injuries that result from an employee’s or employer’s carelessness. However, an employee can be denied worker’s compensation benefits if he or she was under the influence of alcohol and drugs at the time of the injury. In addition, an employee may be denied benefits if the injuries were self-inflicted, if the employee was violating a law or company policy or if the employee was not on the job at the time of the injury. An employee cannot claim worker’s compensation benefits if other parties other than the employer are legally responsible for the injuries (such as third-party contractors, property owners, or equipment manufacturers). An employee should report the injury to the employer immediately. A delay in reporting can result in delayed benefits. If possible, the employee should report the injury in writing and maintain a copy of the report. 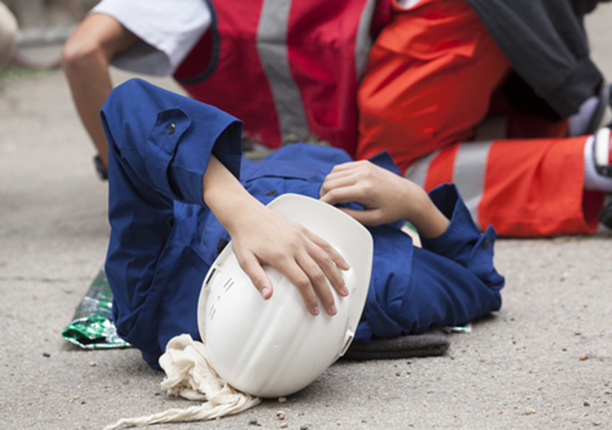 Once the injury has been reported, an employer should provide a claim form. The employee should then fill out the claim form and file it as soon as possible. The employer will notify the worker’s compensation insurance company and obtain medical help for the employee. In some cases, worker’s compensation benefits may be delayed or disapproved because of improper filing or other issues. In addition, employers or insurance companies can dispute the injuries or try to hinder the claim.Therefore, it is important to consult an experienced construction accident attorney for assistance in making a worker’s compensation claim. An attorney can review the claim and ensure that the employee’s rights are protected. If you have been injured on a construction site, we will help you recover compensation for your injuries. Call us today at 877-891-2773/845-202-9700 or email at info@ianelli.com.